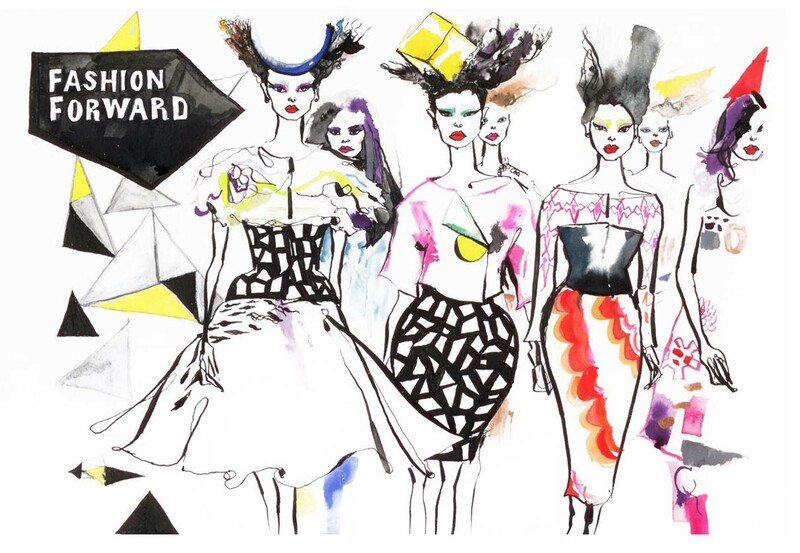 Founded by the internationally acclaimed Rabih Kayrouz, Tala Hajjar, and in collaboration with Solidere, STARCH is a non-profit foundation that helps emerging young designers with exceptional talent to get into the spotlight. Cloud of Lace will soon be addressing this promising initiative in details. 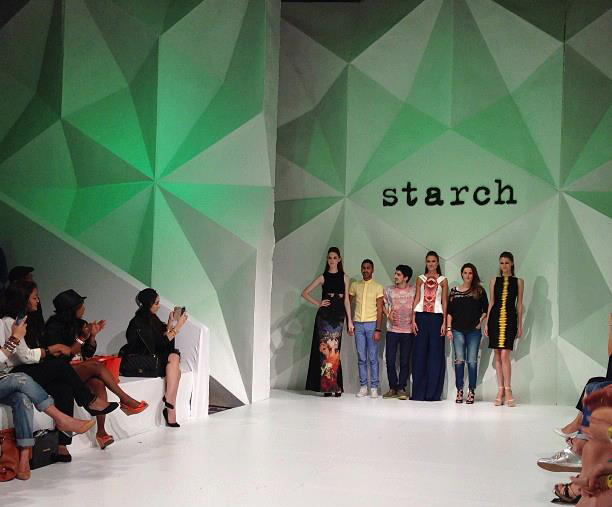 This year, participating STARCH designers were Celine Der Torossian, who is the designer behind the label Azade, Bashar Assaf and Hussein Bazaza. Even though each of the designers has a different approach, all of their designs gave a modern aesthetic impression. Azade’s style was distinguished by slashed pieces, whereas Hussein Bazaza fearlessly showcased an exotic array of prints in a single piece, and Bashar Assaf used safe and elegant cuts all through. In its first season, Dubai’s Fashion Forward managed to bring together great names in the Middle Eastern fashion industry. 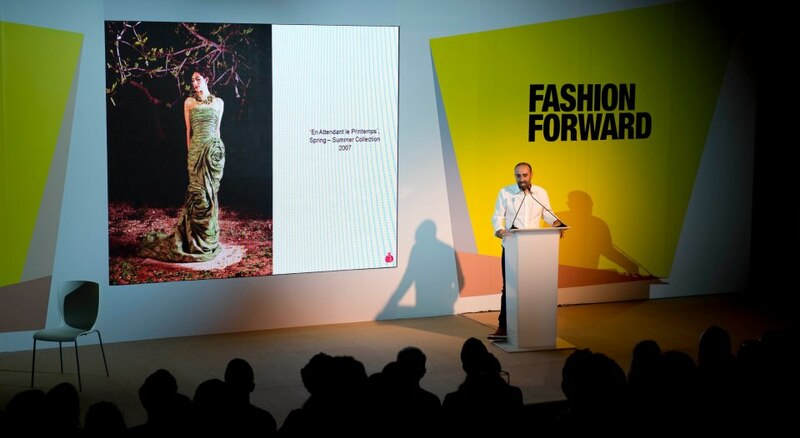 Industry influencers, retail buyers, academic heads and fashion decision-makers, fashion designers, as well as around 12,000 visitors, they all flocked to Madinat Jumeirah from 26-29 April for Fashion Forward’s First Season. The visitors enjoyed exclusive workshops, panel discussions, and 18 catwalk presentations of emerging and established designers across three locations throughout the four day program, in addition to fun social events and shopping at several amazing pop-up shops that were created for the occasion. Season one closed with an exclusive formal lunch with celebrated designer Reem Acra, as Fashion Forward’s guest of honor. 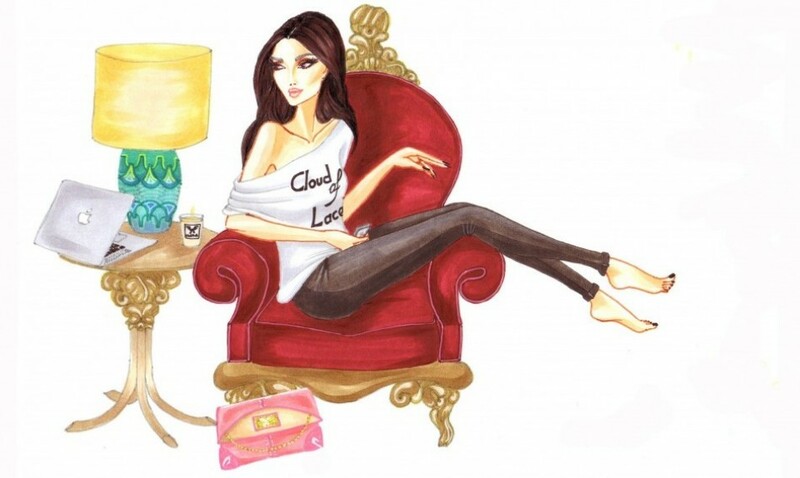 She was discovered herself by a fashion editor while studying at the American University of Beirut! 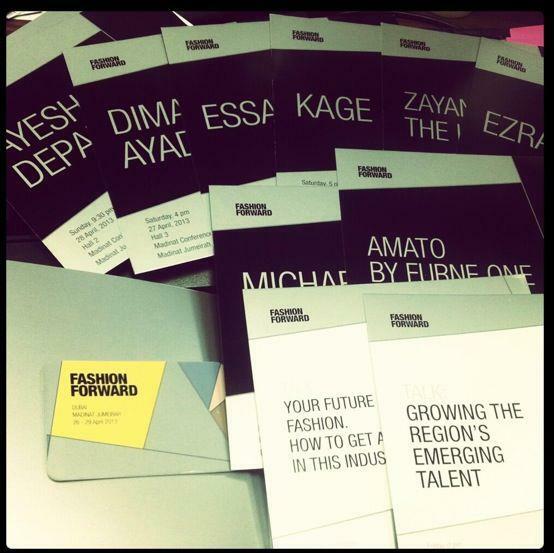 With this much success on its first season, we just can’t wait to see what Fashion Forward’s Season Two will unfold in October 2013! – Images are a courtesy of Fashion Forward. On March 18th, Dubai will be hosting another fab event, Beirut Art Beat! The three-days exhibition will feature pioneering Lebanese designers from different fields: Jewelry, clothing, decor, photography, and painting. Beirut Art Beat will be open to the public, so mark your calendars you people of Dubai and neighboring cities! Other than getting to view and purchase marvelous pieces of Lebanese art, there will be opportunities to take part in a variety of exciting activities, like lectures and talks being held by the designers themselves. An arts and crafts workshop will also be held on Thursday 21st, which welcomes the whole family to participate! Check out Beirut Art Beat‘s Facebook page for the list of participating Lebanese Designers, and event’s schedule.